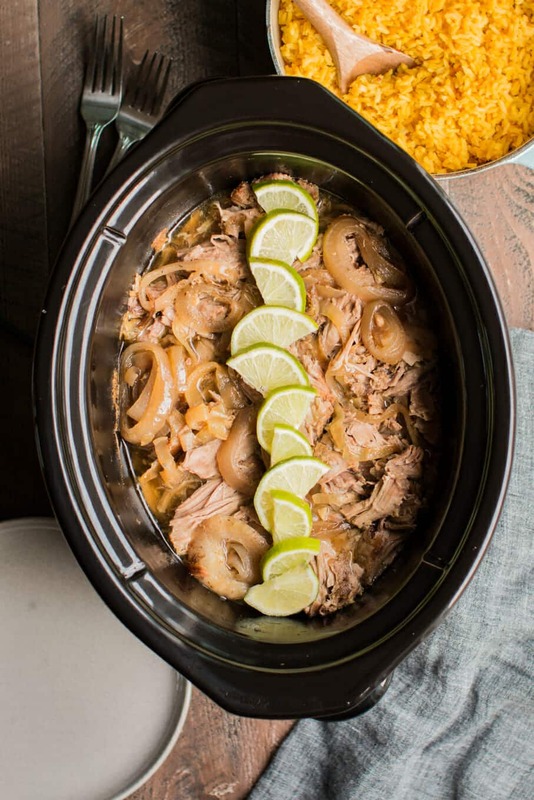 This garlic and citrus Slow Cooker Cuban Pork is tender and flavorful! About 2 weeks ago at a potluck I tried Cuban Pork for the first time. I didn’t realize I needed a new recipe for pork until that day. 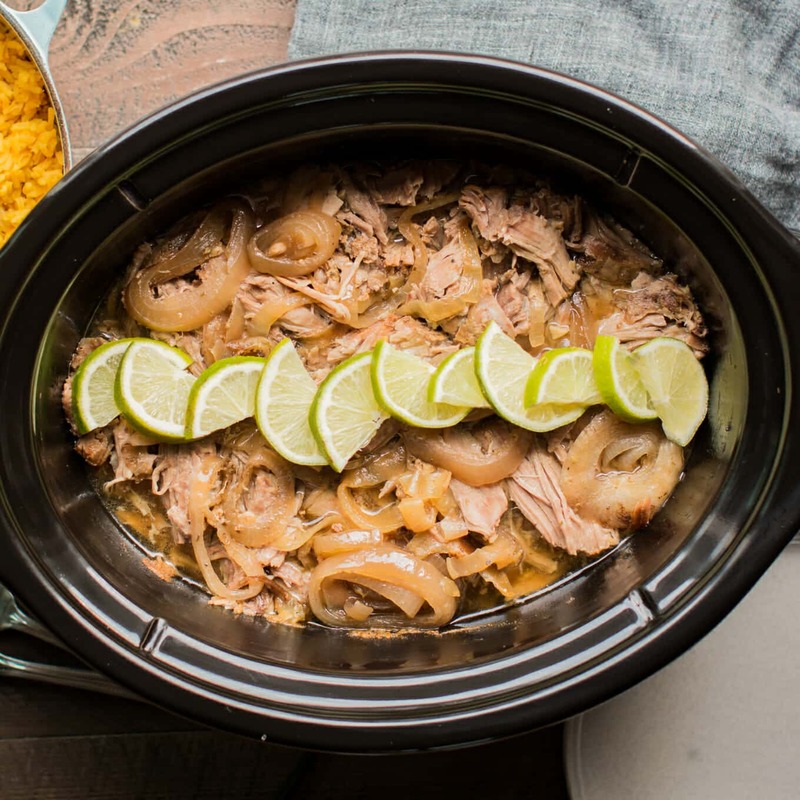 The Cuban pork has a great citrus and garlic flavor, different from other pork recipes I have. 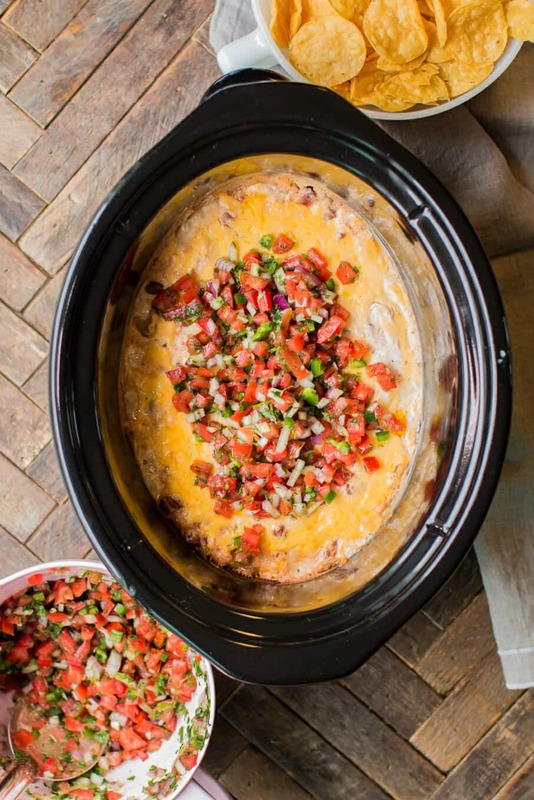 This recipe has 10 garlic cloves in it, and smells great while cooking. Below is what the meat looks like after cooking for 10 hours on low. Then what the meat looks like after being shredded. 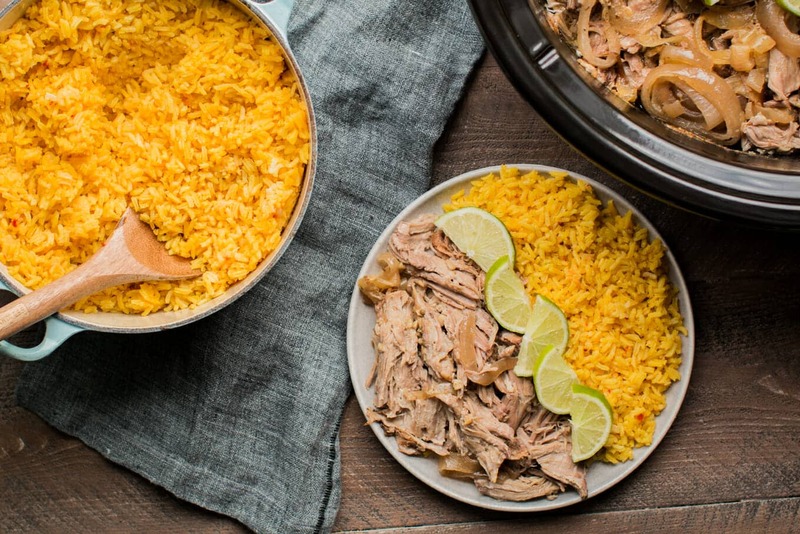 I served this meat with yellow rice, but I’m sure there are some other great Cuban side dishes that would go great with this too. Here is my YouTube video of this Slow Cooker Cuban Pork Recipe. You can follow me on YouTube, here. I will make this meal again and again! And I think you will too! Have a great week. Citrus and garlic cook all day with a pork shoulder, this makes a tender and flavorful shredded meat. 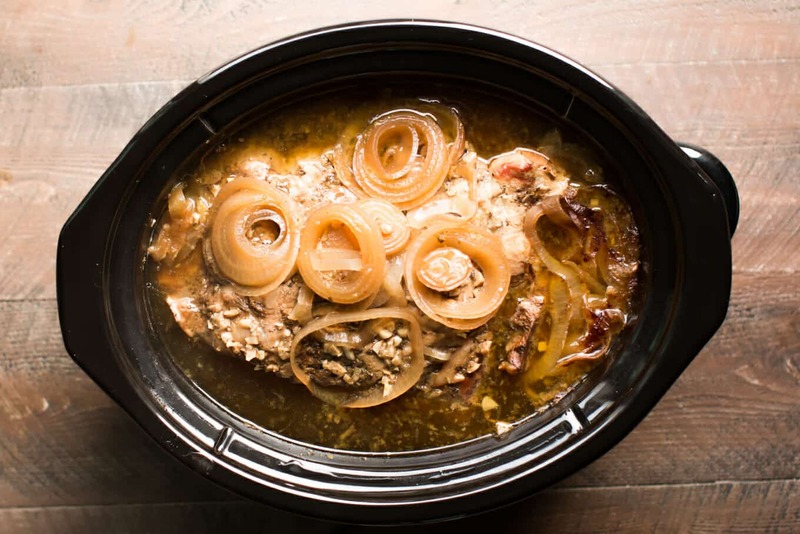 Add the pork shoulder to the slow cooker. Using a small knife cut slits into the pork, about an inch down. In a large bowl add the olive oil. 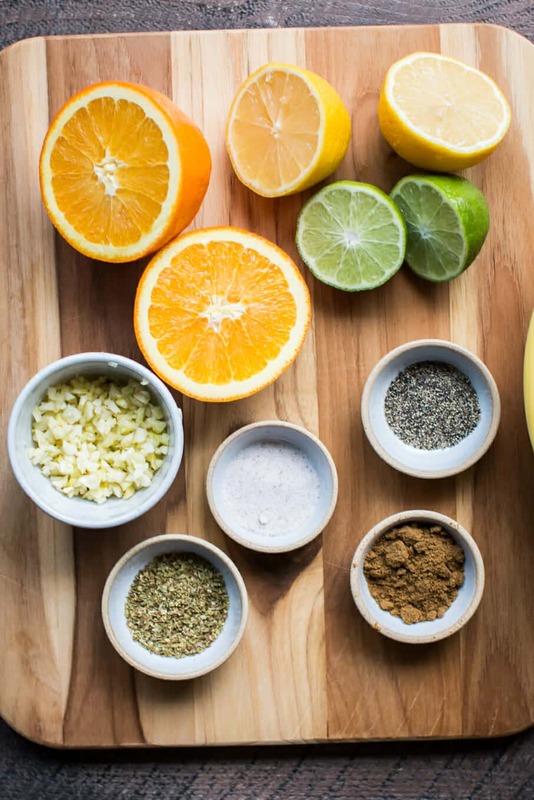 Cut the lemon, lime and orange in half. Squeeze the juice out of the citrus into the bowl. Add the oregano, cumin, garlic, salt and pepper. Whisk until combined. Pour the mixture over the pork roast. Using a spatula squish the garlic and sauce into the pork. Shred the meat with 2 forks and remove the bone. I left about half of the juices with the meat to keep it moist. Congratulations in not adding anything Hot like Habaneros, Serranos and things like that because we never, ever use them in our cuisine. I would double the garlic and cut the cumin down to 1 tsp as it would overpower the tastes and then be more middle eastern than cuban. As for the orange, if you could find sour oranges, that would be ideal. Thanks for the tips Carlos. I will try next time. What other sides would you serve with the pork? Back beans, fried plantains? where would we find dried oregano leaves??? why not just use the powder??? How many does thus serve?